« Fringe Report Awards Night. Will you be at the Fringe Party of the Year? 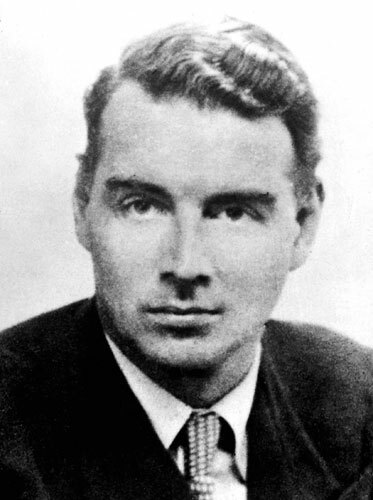 The story of Guy Burgess (and of his fellow spies, Maclean, Philby and Blunt) is an interesting one, (even though it has been told before) and writer ex-Reuters correspondent John Morrison knows his history, but this is ultimately a production which isn’t totally satisfactory, and seems to lack a real focus. In many ways, this is a shame because there are some good performances (Richard Holt as Philby, for example, brings the right balance of self-awareness and flamboyance, and one also grows to like Gareth Pilkington too, as Burgess himself). But writer (John Morrison) and director (Dmitry Devdariani) don’t seem to know where the focus of the production lies. Is it with Burgess’ relationship with Julia, his substitute housekeeper (played quite touchingly by Margarita Nazarenko) or is it elsewhere, in the history of how Burgess has come to be marooned in Moscow for 12 years? (The play is set in 1963). Bets are hedged here, (Julia is sometimes confidante, sometimes sounding-board, sometimes just plot-device) and worse is the prop-mania that accompanies the very short flashback scenes. The actors are called upon to change their dress with frightening regularity (often marking their transition to another character). This is probably to try to help the audience, but just ends up being distracting, and means that at one point Philby (I think; it could have been Blunt) appears wearing white socks, which, if these dandies were actually as portrayed, just would not have happened. Often, plays in small theatres are crying out for more expansive spaces in which to be performed. Here, in the comparatively lavish space of the Courtyard Theatre, this production might have benefited from a more restricted environment. Actors seemed to appear from everywhere, which was interesting, but sometimes because of it, there were chilly pauses. Whether you believe that Burgess was a victim of his own need for attention, just too intelligent (and sexually promiscuous) for his own good, or just a man at the wrong time in the wrong place, it was hard to generate any kind of sympathy for him. Any communist of his generation had to deal (somehow) with the fact that Stalin sold out on the idea that communist states were the bastion against Fascism when he signed his pact with Hitler, and not only that, that Russia under his leadership was more disgustingly ruthless even than Hitler’s Germany, and probably responsible for more deaths. A wistful longing for old haunts in central London can’t really overcome the suspicion that Burgess’s treachery sent many Britons (among others) to their deaths. Still, there is an interesting and complex story here, but too much cartoon-strip semi-comedy (as in the scene where we are shown the attendees of Burgess’s Saturday morning seminars) and above all, those props and costume changes, do get in the way. If you are a student of the times, interested in Burgess and his cronies, or the history of ideas, you might well find this a surprising tour d’horizon. It’s a creaky structure though, and you will need powers of endurance to see it through.